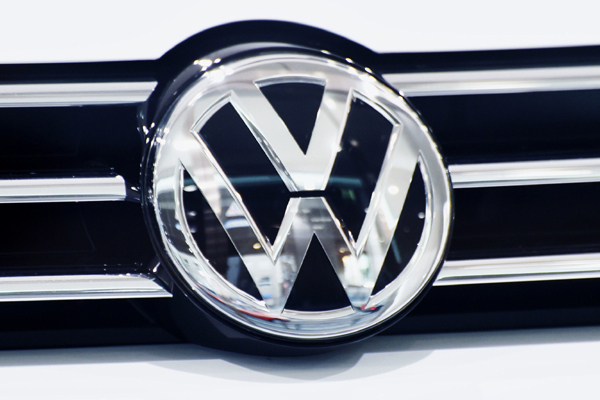 New Delhi (PTI): German auto major Volkswagen, which is embroiled in a global emission scandal, today submitted a roadmap before the National Green Tribunal to recall over 3.23 lakh vehicles in the country fitted with a ‘defeat device’ meant to fudge emission tests. The roadmap was submitted by it in pursuance to the NGT’s direction passed yesterday. The automobile giant is in the process of recalling several million cars across the globe. A ‘cheat’ or ‘defeat device’ is a software in diesel engines to manipulate emission tests by changing the performance of the cars. Volkswagen India had in December 2015 announced the recall of 3,23,700 lakh vehicles in India to fix the emission software after Automotive Research Association of India (ARAI) conducted tests on some models and found that their on-road emissions were 1.1 times to 2.6 times higher than the applicable BS-IV norms. The automobile giant had admitted to the use of ‘defeat device’ in 11 million diesel engine cars sold in the US, Europe and other global markets that allowed manipulation of emissions tests by changing the performance of vehicles to improve results. An advocate associated with the petitioners in the case said that a copy of the road map has been served to them. The matter was fixed for hearing on September 5. Earlier after the tests by ARAI, Volkswagen India had undertaken to rejig the software by recalling around 3.23 lakh vehicles fitted with EA 189 diesel engines which were in alleged violation of emission norms. “During the course of the hearing, we take note of the fact that the Respondent No 4 (Volkswagen) has not only in its statement of reply but otherwise also offered to voluntary recall all the vehicle which are subject matter of these proceedings, that is fitted with E189 diesel engine to different variant mentioned in the application. “However, on ascertaining the factual position, we are informed that the process of recall is not complete for the reason though Respondent No. 4 and other respondent have been requested by ARAI to submit its redesign as only 70 per cent has been approved. “Respondent nos 4 to 7 shall file roadmap with regard to recalling of the vehicle in question. In the meanwhile, we direct ARAI to file submission with regard to present status of the recall program of the vehicle in question,” the bench had said in February order. The tribunal was hearing pleas filed by a school teacher Saloni Ailawadi and few city residents seeking ban on sale of its vehicles for alleged violation of emission norms. In June last year, Volkswagen had said it will recall 1.90 lakh cars sold in the country out of the 3.23 lakh vehicles as announced to fix the emission software.